Happy Spring! I know it doesn't feel like it but we have arrived. 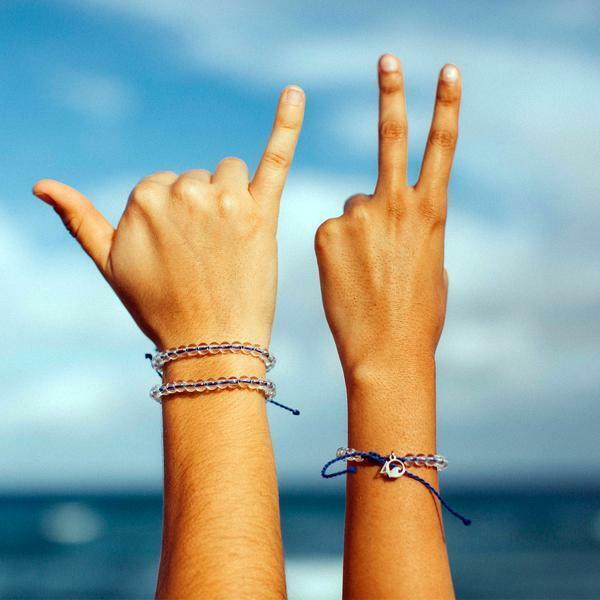 Brrr..
Breakwater Blue has been busy coming up with fun new designs just in time for beach vacations and SUMMER! Don't forget Mother's Day is just around the corner as well as Father's Day (check out our Men's Clothing). Other gift time reminders are teacher gifts and graduation presents. Come see us at one of our shopping events (see dates below) or check us out online. 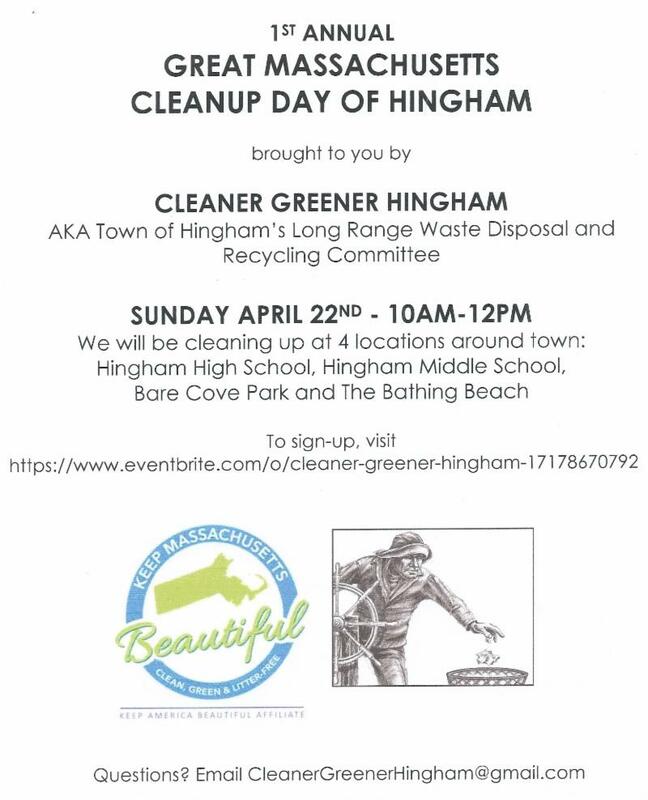 Now that spring is here we can start back up with our beach cleanups. Thanks to a few new volunteers from UMass, Sarah Cappella and Danny Sullivan, who have done the hard task of finding the beaches that need our help. We will keep you posted for dates on beach cleanups to come in the near future. It looks like Scituate is on our agenda next. Last but certainly not least we have our Mom of the Month (quarter) we are excited to share with you, Caroline Carver. If you know of a mom out there that has made an impact and want to share it with us let us know. Each mom of the month will receive 30% off at Breakwater Blue as well as be featured on our website and newsletters. Email us at sales@breakwaterblue.com and tell us who you would like to sponsor and why! Happy Mother's Day to all our special Mom's! Add a little spice to your next beach vacation. 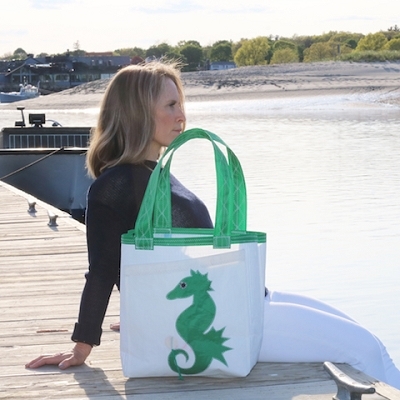 The Weekender Bag -perfect for beach, pool, boat or overnight stays. 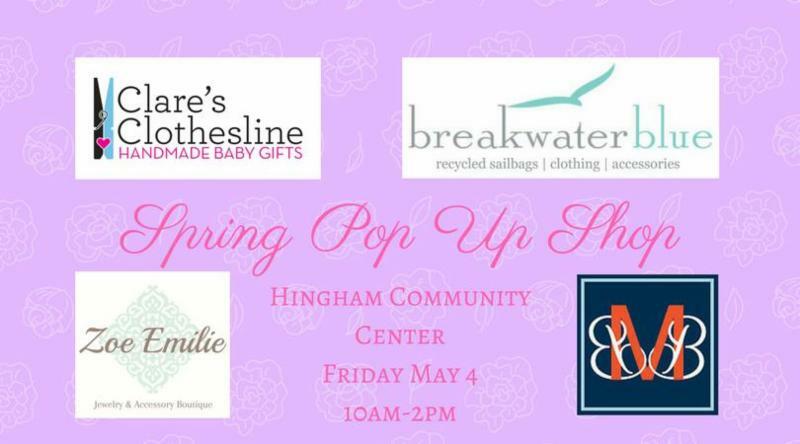 Come down and bring the kids to our shopping event with local women based businesses Zoe Emily Jewelry, Bridier Baubles: The Monogram Shop and Clare's Clothesline and Breakwater Blue. Many great local vendor will be present. Plus 10% of that evenings sales will go to an incredible organization. empowerHER (a non profit organization for young girls who have experiences the early loss of their mothers). Bring your Mom or take a break for yourself and do a little shopping on Mother's Day! We will be located at 10 New Street, in Boston. Bare Cove Park, Hingham High School, Hingham Middle School. Can't make it? 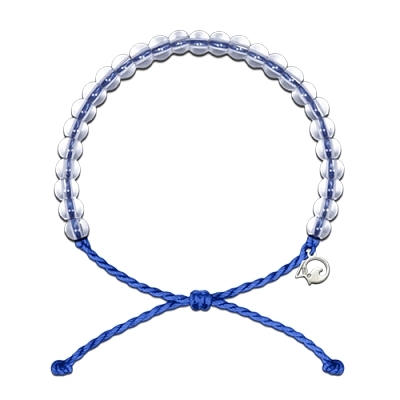 You can still be a part of our cleanup efforts by purchasing one our new products by 4Oceans. Caroline is a mom of 3 children ages 6, 6 and 9. 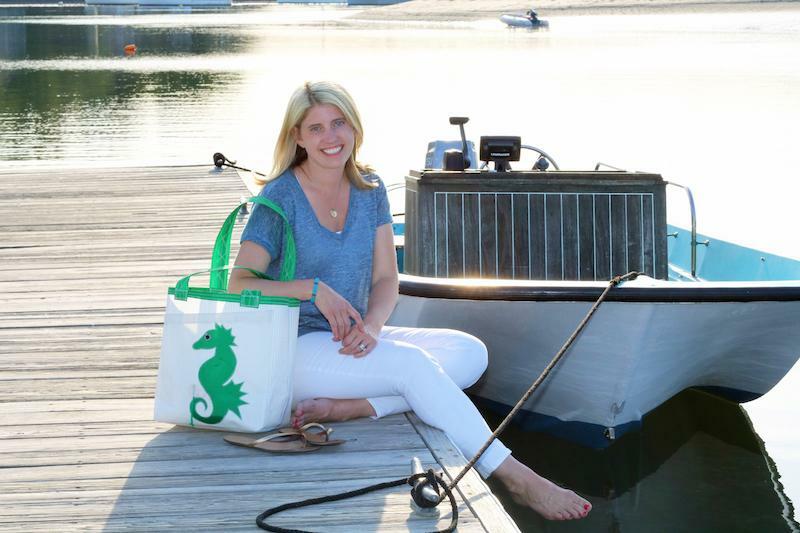 She lives in Hingham, a coastal New England town in Massachusetts. Caroline has also been one of the faces of Breakwater Blue for 2017 and we can't wait to see more of her for 2018. 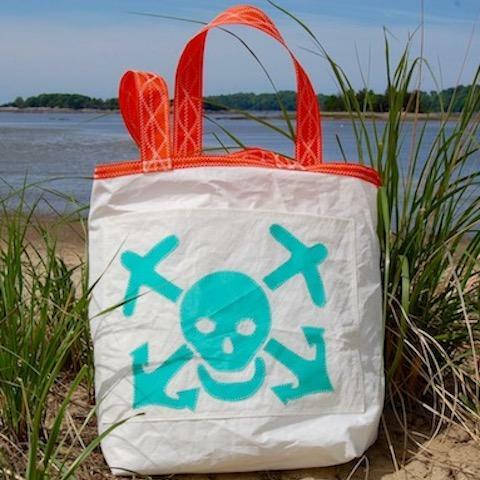 In the summer, we love to spend time on Duxbury Beach. We have fun paddle boarding, making bonfires and walking our dog, Bubba. During the school year, the kids' sports are definitely a part of our weekend life as well as hanging out with family and friends. I'd love to grant wishes. I could give people food, medicine, homes. I could also help that new mom with the crying baby get some sleep! I've lived in a lot of places. I grew up in New York, London and Duxbury (and Japan for a summer!). As a adult, I've lived in Vermont, Italy, Nantucket, Boston, New Hampshire, Amsterdam, Florida and now Hingham. I would start off at the beach with my book in one hand and a latte in the other. Then I'd love to go on a "day date" with my husband in Boston or NYC. The best kind of day would include no plan! Play with my kids, walk my dog, read a good book, have s'mores! My current list is Cuba, Kenya, Vietnam and the Galapagos. Go easy on yourself. Ask and get help as much as you can- You deserve it!